Heads of Security Intelligence organ in the regional are meeting in Kigali to discuss security matters. They will also share military intelligence in the region. The meeting comes at a critical time when the region fears some member countries are involved in activities that destabilize their neighbors. The meeting also is taking place at a time when the United Nations Security Council is debating on “Mercenary activities as a source of insecurity and destabilization in Africa” with a focus on the Central African sub-region. 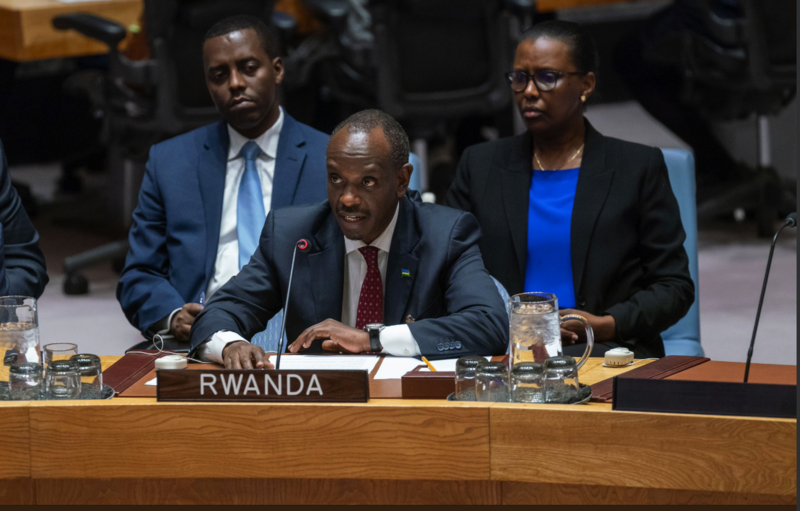 Foreign Affairs and International Cooperation Minister, Rwanda’s Dr. Richard Sezibera, Minister of, participated in the debate, representing President Paul Kagame in his capacity as the Chairperson of the African Union. President Teodoro Obiang Nguema Mbasogo of Equatorial Guinea chaired the debate. The UN Secretary-General António Guterres and Moussa Faki Mahamat, Chairperson of the AU Commission, briefed the Security Council. The need to update global legal frameworks to reflect the evolving nature of mercenary activities worldwide. Distinguishing between private military and security services that operate within national legal frameworks and mercenary groups operating clandestinely with the objective of destabilizing constitutional order and authority. Linking the rise of mercenary activity and increased transboundary criminal activity, including those of global terrorist networks. He also noted that Rwanda has experienced such cross-border terrorist activity as was recently reported in the UN Secretary-General’s report to the Security Council.